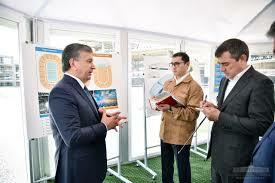 President Shavkat Mirziyoyev today visited several ongoing projects in Tashkent, among which multifunctional ice complex Humo Arena, which is being built at the intersection of Afrosiyob and Beshyogoch streets. Construction of the complex began in February last year. The ice rink is designed as a multifunctional stadium where various ice sports games will be held such as ice hockey, short track, figure skating as well as boxing, basketball, futsal, kurash, volleyball, entertainment, performance events and others. 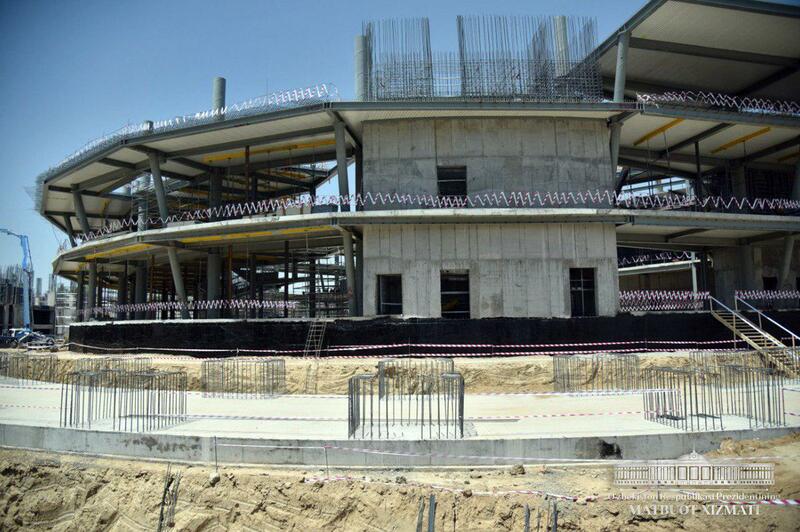 The complex is expected to be completed on the eve of the New Year. The President noted that the facility is of great social importance, and it is necessary to make the complex function all year round. He gave instructions to form ice-hockey teams to be based in the complex. Tashkent-based hockey club Binokor is expected to be stationed in the Humo Arena and will be hoping to enter the Kontinental Hockey League (KHL) within the next two seasons.